When a business is looking for clients, it’s important that they have the right look, feel and tools to properly display their competitive advantage. This can be difficult for companies that have been in business for a long time; they can start to look dated and behind modern times. This was an obstacle faced by MRCE until we rebranded them and provided them with a powerful, new brand identity. 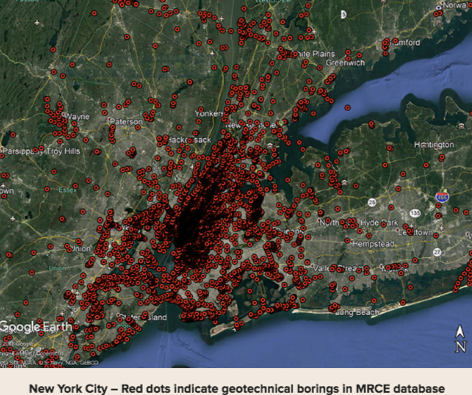 MRCE is a cutting-edge geotechnical engineering firm specializing in building foundations. Having been in business for over 100 years, MRCE came to BrandTuitive to update their look while still maintaining the reputation the company has built over the years. We were hired to modernize their name, logo, tagline and website to reflect the masterful, technologically advanced geotechnical engineering firm that they are. At BrandTuitive, we say that we don’t create brands, we reveal them. More importantly, we become so invested with the brand that we recognize powerful marketing tools that give our clients a competitive advantage beyond the initial scope of the project. Being in business over 100 years, MRCE has access to information that no other firm has. 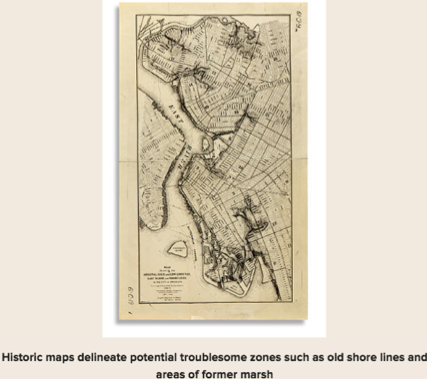 They have technologically advanced in-house laboratories, historic geological maps that show in-depth site history, and they’ve acquired subsurface material from almost every block in Manhattan. Through the brand reveal, we also recognized that the abundance of information that MRCE had acquired over the years could be adapted into a powerful marketing tool. Their masterful knowledge and unique skills allowed us to coin a phrase that succinctly communicates their competitive advantage: The Treasury of Knowledge℠. The Treasury of Knowledge℠ is not only a collection of all of the information that MRCE has acquired over the years, but it is also how they apply that information. MRCE hires the best and brightest minds who, using their collection of tools and information, deliver masterful solutions to their customers’ complex engineering challenges. This is an invaluable marketing tool for MRCE as clients are made aware of the fact that they will only get this impeccable service and abundance of experience with MRCE. The Treasury of Knowledge℠ powerfully communicates to existing and future customers that MRCE is a masterful geotechnical engineering firm that has the tools and resources to deliver what no other geotechnical engineering firm can. Companies should look at how they position themselves in the market and what tools they have at their disposal. In a competitive industry, it is a business’s responsibility to set themselves apart from competitors and communicate their expertise. Knowing what they can do, how to take advantage of their skills and how to relay them to their audience can give a company a powerful marketing advantage and differentiate one company from the rest. Older PostCampaigns We Love: StreetEasy's "Find Your Place"